Give the gift of better sleep with an Oura gift card. 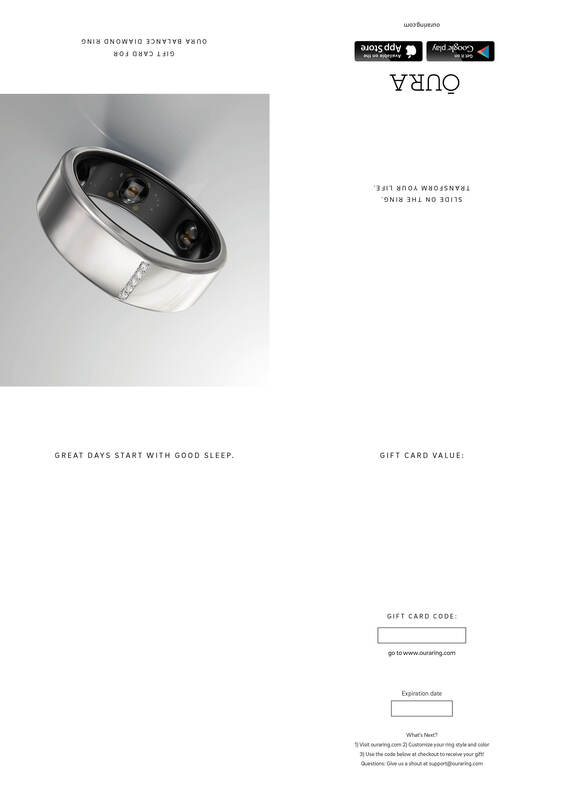 Oura gift cards come in three amounts: the standard Oura ring, premium Stealth Oura ring or Balance Diamond Oura ring. 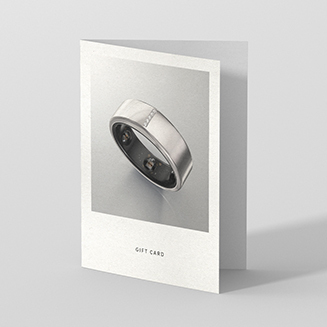 Each gift card is good for the entire price of the ring and delivery. After you check out, you’ll get a PDF e-card you can give to your recipient with all the details they need. You can add your own personalized message to the PDF or use the pre-written note from us. Giving the gift of Oura has never been easier. Note: Gift cards must be purchased one at a time, with no additional items in your cart. For multiple gift cards, please make multiple purchases.